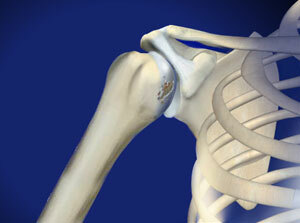 Arthritis of the shoulder involves the swelling and damage of the joint. There are three main types of shoulder arthritis: Osteoarthritis of the shoulder, Rheumatoid Arthritis and Post traumatic shoulder arthritis (following an accident). Other words you might hear associated with shoulder arthritis are shoulder bursitis, rotator cuff tendonitis (both associated with Shoulder Impingement Syndrome) and adhesive capsulitis or "frozen shoulder" (this is the term to describe the symptoms experienced when the connective tissue surrounding the glenohumeral joint become inflamed and stiff). Osteoarthritis - is a degenerative condition caused by "wear and tear". It usually affects people over 50 as part of the normal ageing process. It can occur in both the acromioclavicular joint and the glenohumeral joint, but is more common in the acromioclavicular. Rheumatoid arthritis - is an imflammatory condition of the joint lining or synovium. It can effect people of any age and usually affects multiple joints in both shoulders. Postraumatic arthritis - is a form of arthritis which develops after an injury, such as a fracture, dislocation of the shoulder or a rotator cuff tear. In each case arthritis occurs when cartilage (the smooth, protective tissue between joints), cushioning the joints and allowing them to move freely, deteriorates and loses cushioning ability. If the cartilage wears away completely, bone will rub against bone. This damage leads to the growth of new, rough bone along the edges of the joint. These lumpy areas of bone are called bone spurs or osteophites. Some of these spurs may break off and "float" as debris within the joint. The most common symptom of arthritis in the shoulder is pain, often made worse by activity and increasing in severity over time. Another symptom involves the movement of the arm, as the condition progresses, movement becomes increasingly more difficult and the range of movement more and more limited. As arthritis progresses, you may experience pain in your shoulder all the time, even when you are not moving your arm. Finding a comfortable sleeping position may also be difficult. 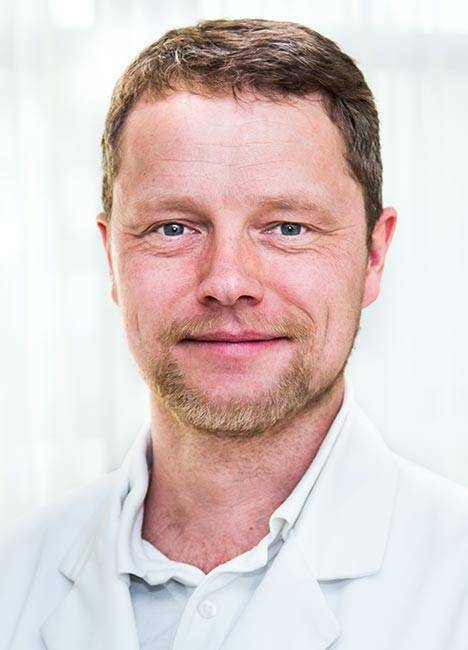 Orthopaedic shoulder specialists at the Gelenk Klinik follow a stepped approach to the treatment of arthritis. The first step may include all, or a combination of cortisone injections, non-steroidal anti inflammatory (NSAID) medications, use of a splint or brace to support the joint, physiotherapy (including specialised shoulder exercises) and modification of daily activities. Total Shoulder Replacement - this is used to repair the glenohumeral joint. Resection Arthroscopy - this is where part of the clavicle is removed to free it from the acromion. This method is often used to repair the acromioclavicular joint.